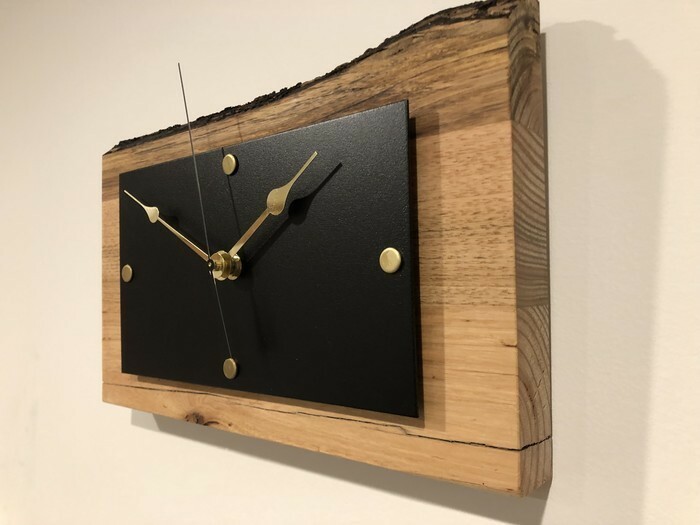 Solid Ash Timber Wall Clock with a unique natural rustic edge. 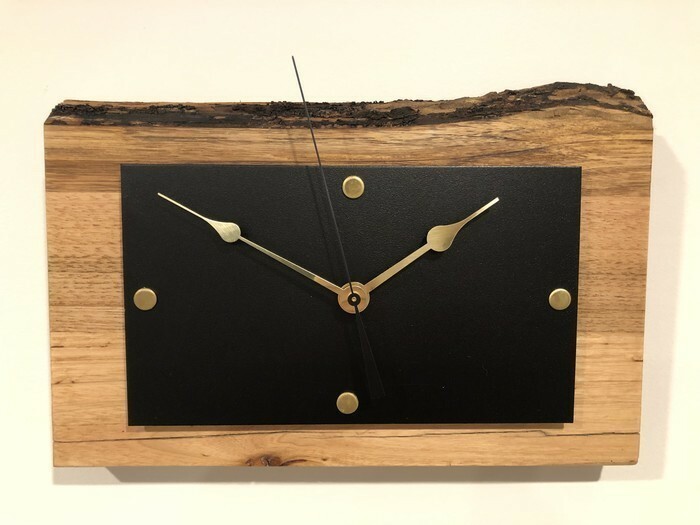 Quality quartz handmade solid ash timber wall clock. With a matte black powder coated split disk and sophisticated chrome front plate. Each level of material set approximately 8mm higher than the other, to create a three dimensional look to the clock. 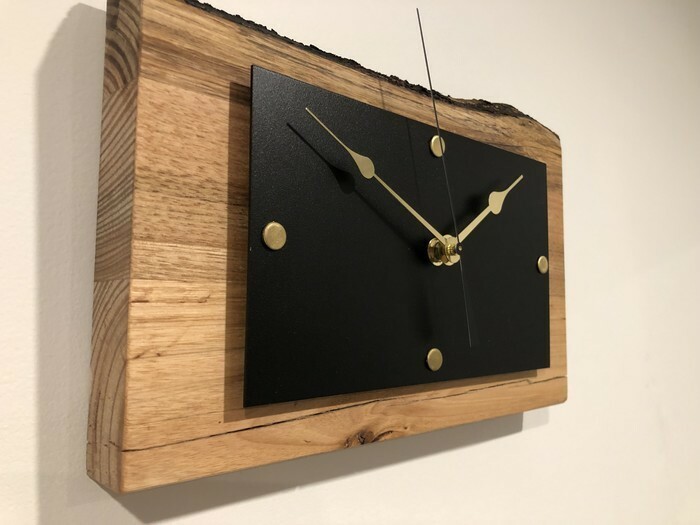 Finished off with matte black powder coated corners highlighting the edges of the clock.